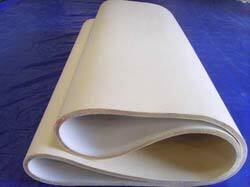 More About Information ofCompactor Felt : Our compacting felts are used in compactor machines. The Endless Woolen felt is used in shrinkage of the knitted fabrics. Comapactor felts are used on the following machines : Ferraro, Monti Muzzi, Sautex, Sperotto, pongkwang , Monfortl, Lafer etc.